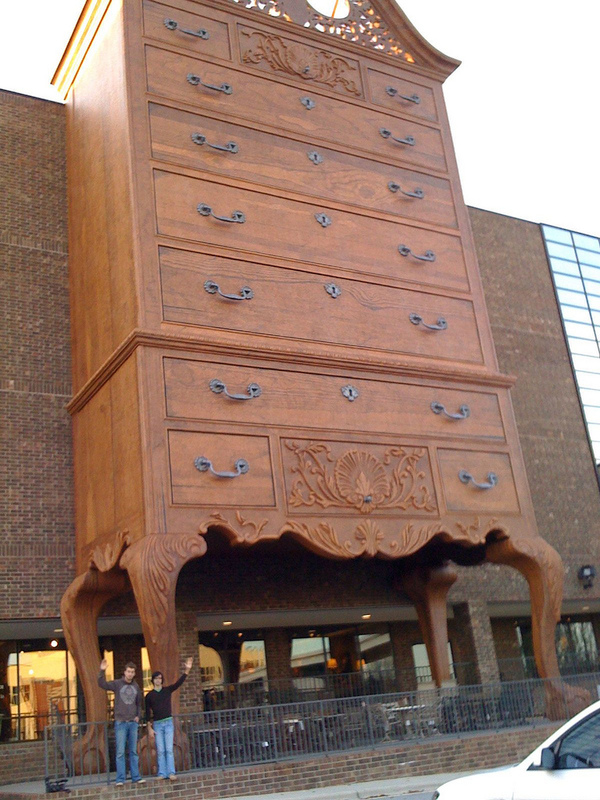 Shane's Collection, a retailer of furniture samples from the High Point, NC Furniture Market, announced it would move into the world's largest dresser, a 1996 building that once housed the High Point Chamber of Commerce. 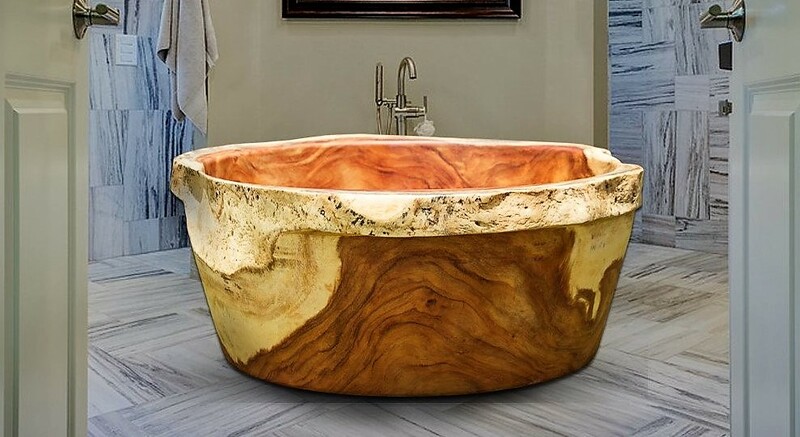 It got us to thinking....what about other world's largest wood things (or things normally made of wood)? 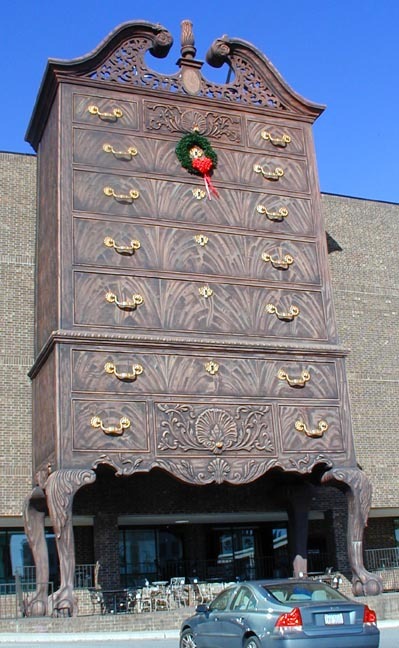 High Point, NC, a furniture center, used this dresser for the Chamber of Commerce Information Center. Two predecessor's were replaced by today's 40 foot tall Queen Anne dresser, built in 1996. The six foot tall pair of socks hanging out of one drawer was added as a tribute to High Point's hosiery manufacturing, according to RoadsideArchitecture.com. 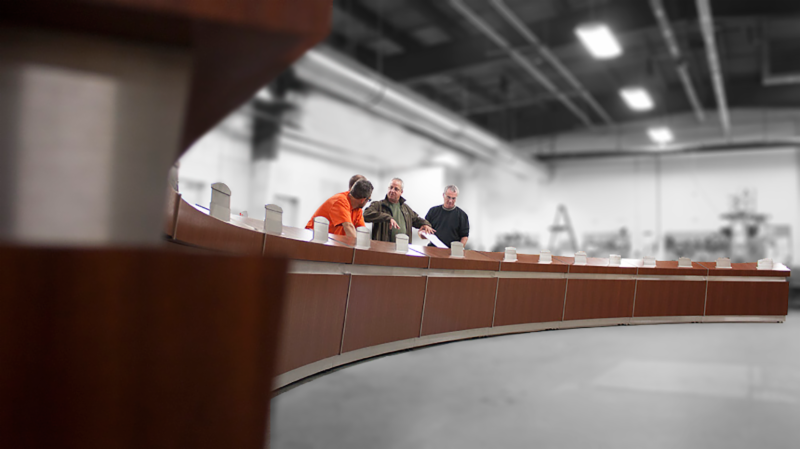 The Bureau is made of plastic over a steel frame. But High Point is also home to this Chippendale dresser. It seems to be taller. 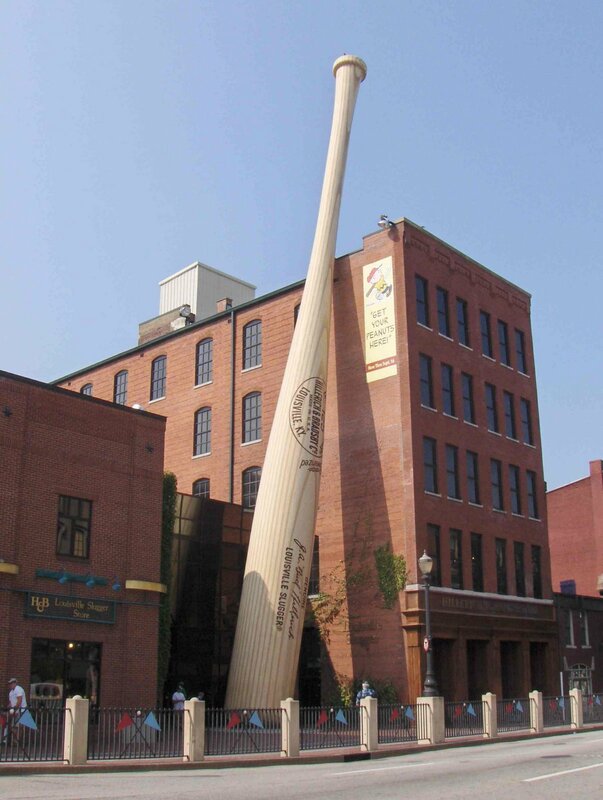 Of course, the world's largest wood bat is located in, where else, Louisville, at the Louisville Slugger Museum - right next to the gift shop. After years of reporting on manufacturing baseball bats, how did we miss the world's largest baseball bat? These guys provide perspective on the Chippendale. It still seems to be taller than the bat. Even if it is no taller than the bat, it's certainly bigger. 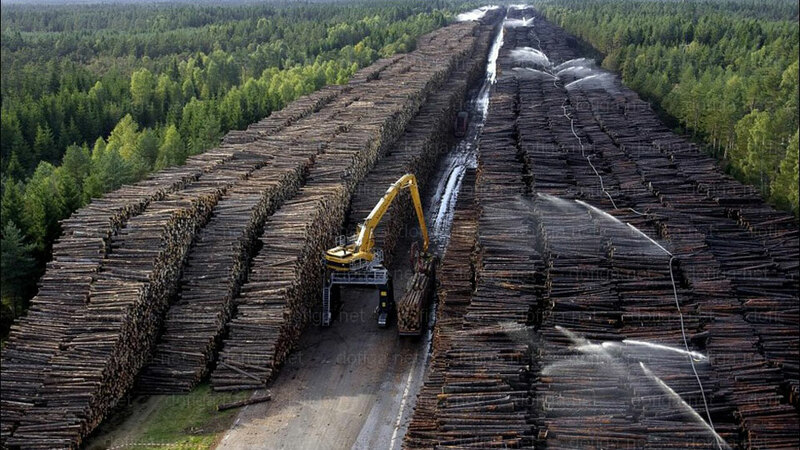 But this wood stockpile in Sweden is supposedly the largest - one million cubic feet of trees that were knocked down by a cyclone. 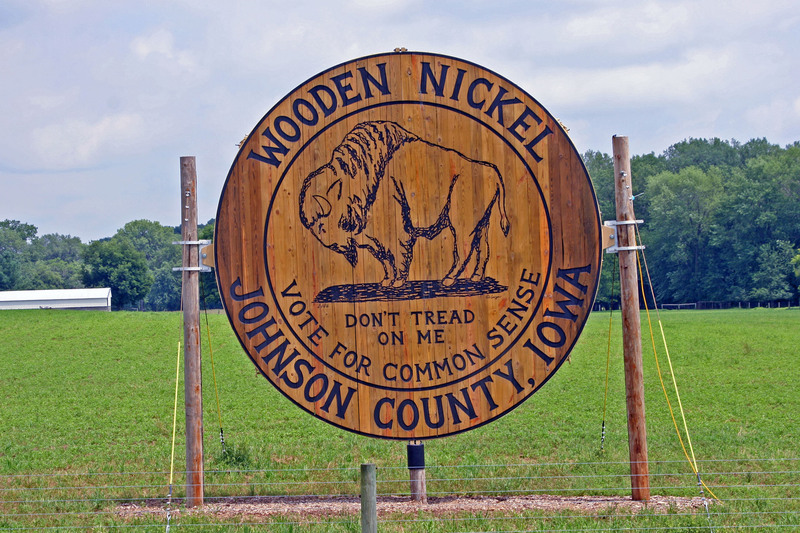 Of course, there's this: the world's largest wooden nickel, in Iowa City, IA. 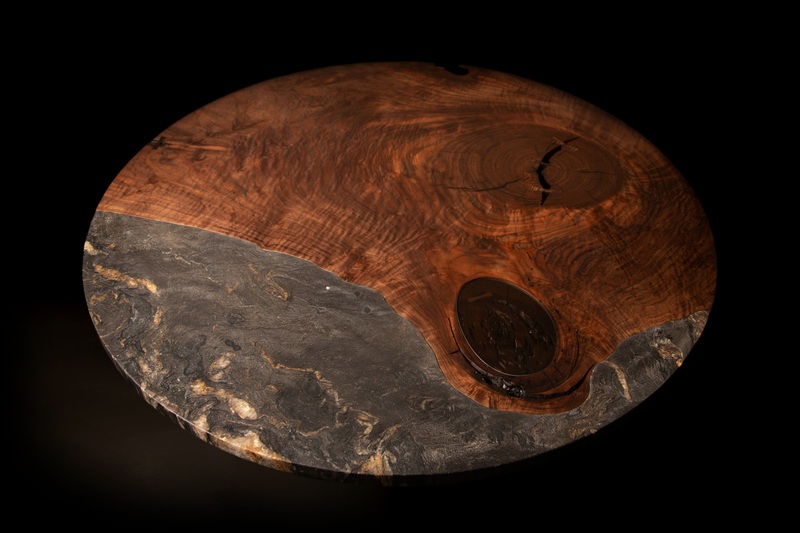 But without question, the world's largest yoyo takes the cake. Benjamin Moore sponsored the build from reclaimed wood. We do not know why the video has French subtitles.